We at Unemployment Solutions for You proudly offer our unemployment claims management services across the United States. We are a leader in our industry not only because we offer an outstanding product, but also because we have a deep knowledge-base in the many differing unemployment laws across the 50 states. Part of our mission is to also educate you about how these laws may differ from state to state because those differences can affect you directly. So, join us on our continuing series, in which we explore the differences in unemployment eligibility, tax rate ranges, base periods, and much more in each state. This month, in Your State’s Unemployment Tax Laws, we’ll be looking at Texas, the Lone Star State. 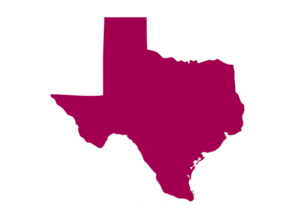 In Texas, unemployment claimants can be eligible for unemployment benefits if they are either unemployed or working reduced hours through no fault of their own. Examples of this include layoff, reduction of hours or wages, being fired (unrelated to misconduct), or quitting with good cause. In the event that one of your employees has been awarded unemployment benefits, they are calculated based on the taxable wages reported during the first four of the last five completed calendar quarters before the effective date of the claim. The effective date is considered the Sunday of the week in which the person applied for unemployment. Of course, the question becomes: how does this affect you and your business? As we know, the UI tax is the only tax that you have active control over. Your actions and decisions with regard to your employees’ employment status can affect the severity of your tax liability. By terminating someone’s employment without proof of their misconduct, they may be eligible for an unemployment claim, thus affecting your Experience Rate and your Tax Rate by extension. Additionally, the amount paid to your employees per year can affect how much you must pay to your UI tax. You must pay a tax dependent on the Taxable Wage Base, or the amount paid to your employees over the course of each calendar year up to a maximum of $9,000 per employee, per year. The amount paid up to $9,000 is then multiplied by the Maximum Tax Rate. Below you can find a table outlining the Taxable Wage Base and Maximum Tax Rate that has been used in Texas over the past few years. For the year of 2018, the Maximum Tax Rate is 6.46%. However, this is only the Maximum Tax Rate that you can be expected to pay. Your rate will be dependent on your business’ Experience Rate, calculated by the amount of UI benefits paid to former employees over the past three calendar years. If you have kept these eligible claims to a minimum, then your UI Tax Rate should also reflect this, with a Minimum Tax Rate as low as 0.46% for 2018. Your Experience-Rated Tax is calculated by October 1st to be effective the following year. As a new employer, your tax rate will be a little different, though. Employers recently made liable for the UI tax will have a set rate established by the Texas Unemployment Compensation Act (TUCA) depending on the North American Industry Classification System (NAICS), which sets an average rate for each industry. Texas sets a rate at an employer’s NAICS industry average or at 2.7%, depending on which is higher. This Entry-Level Rate will continue for new employers until they are considered “chargeable” or when and employer could have been responsible for unemployment benefits paid to a former employee for four calendar quarters. However, most of the time, an employer isn’t considered chargeable until their third quarter of paying wages. Once employers have completed four chargeable quarters, they are assigned an Interim Tax Rate until they can establish an Experience Rating after paying wages for a minimum of six quarters. This Interim Tax Rate is based on the timely payment of your taxes, the payment of unemployment claims to former employees, and the amount of taxable wages paid. We know that as a new employer, your unemployment tax liability may at first seem like a huge responsibility, but it is nonetheless essential that you get started on the process quickly. For example, it’s important that you register an Unemployment Tax Account with the Texas Workforce Commission (TWC) within ten days of paying one of your employees’ wages. It is at that time that you become liable for the TUCA. In the event that you hire new or returning employees, federal and state laws mandate that you provide information to the Employer New Hire Reporting Operations Center (ENHR) within 20 days of the hire date. If this process seems daunting at first, don’t worry! Unemployment Solutions For You is here to offer our services in unemployment management software, as well as in educating you to better manage your UI tax rate. It’s important never to forget that you have a partner in protecting your business from this significant liability. In case you missed it, last time we covered the unemployment tax laws of Pennsylvania. You can find last month’s blog here, and a few of the other states we’ve featured here.